Children’s Cosmetics Workshop | Oleoturismo en Jaén y Úbeda, tienda y catas de aceite, un museo sobre aceite que ver en Úbeda. In this land of olive groves, it is essential for our children learn that olive oil has applications beyond enriching our meals, that it also has a multitude of uses outside of cooking. With the idea that olive oil is for more than eating, we developed workshops in soap making for children in our children’s room. They learn how to make soap with their own hands. 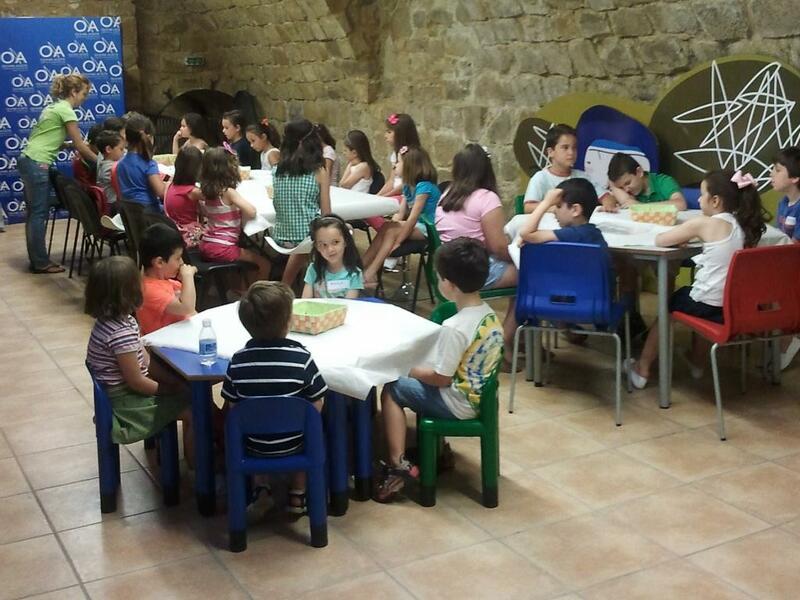 In this way the children develop their creativity and work with their hands, while getting to know the beneficial properties of EVOO. Our teachers help the children make their own soap out of various ingredients, mixing colours, essential oils and decorative objects to create a unique soap, according to the taste of each child. After this the children can take home their very own soap. Please contact us for further information or to reserve a place. A minimum group size of 20 children applies.